Cardiff Amateur Flute Ensemble are looking for new members! Are you looking for more opportunities to play your flute? We’re always looking for new members to join our group. 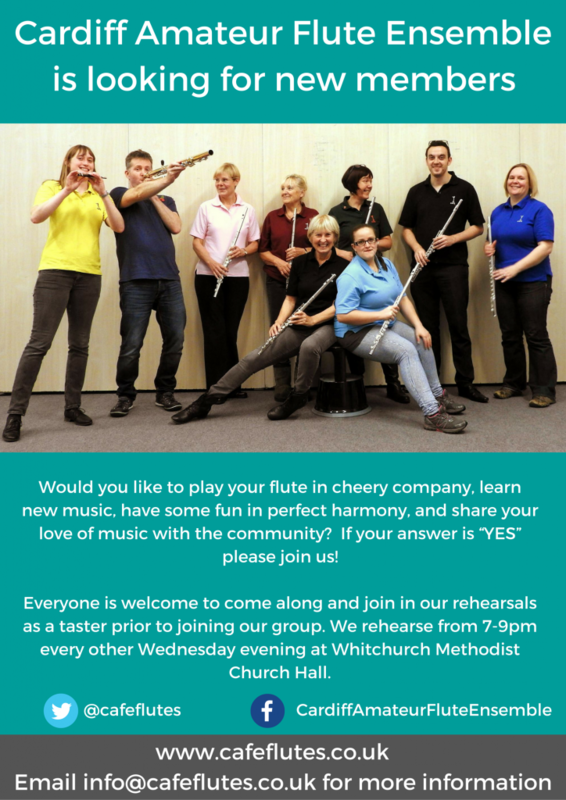 If you are keen to play in a friendly environment, join us every other Wednesday at Whitchurch Methodist Church.